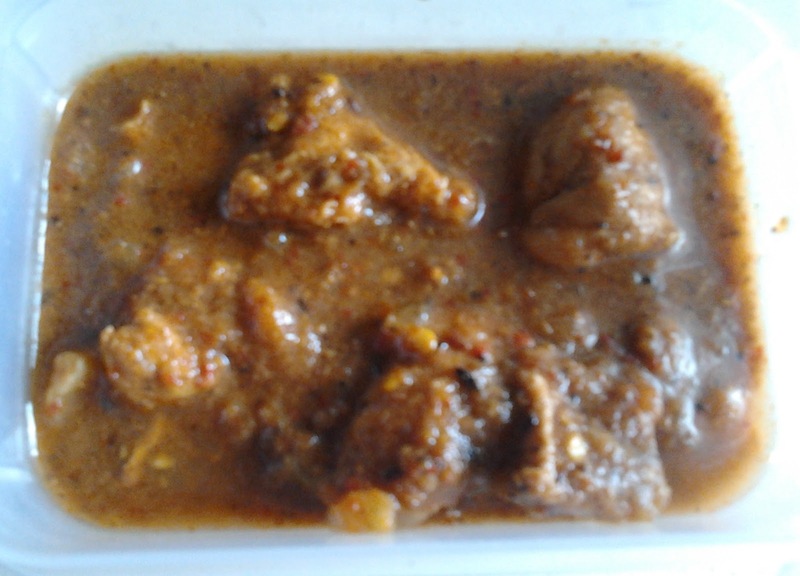 Chicken Chettinad is a authentic Tamilnadu dish. This dish is hot and pungent with fresh ground masala's. Chettinad is famous for it's use of a variety of spices. This dish is the spiciest, oiliest and aromatic with chicken cooked with different ingredients like fennel seeds, coriander seeds, poppy and cumin seeds that gives a mind blowing aroma to the curry. Chicken Chettinad goes well with dosa, plain rice, Appams, parathas, roti, naan (Indian breads). Wash and clean the chicken. Dry roast and grind to make a paste of above mentioned ingredients in "to be roasted and grinded" table. Add onions and fry until they change their color to golden brown. Add salt, garlic, ginger, turmeric powder and curry leaves. Allow it to fry for some time. Now add the paste, red chilly powder and tomatoes. Fry for 5 minutes. Now its the time to add chicken and cook for 5 minutes on medium flame. Check for the salt. Add lemon juice and water. Close the lid and cook for 20-25 minutes. When chicken is cooked switch off the flame and garnish with coriander leaves. Serve hot with dosa, plain rice or chapathi.